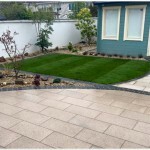 Grass was not an option here due to the recent extension of the house, the existing floor level of the patio was also quite low due to the new build, therefore the brief was to create a low maintenance, outdoor space that could link directly with the large sliding doors looking out towards the site without having the inconvenience of steps. 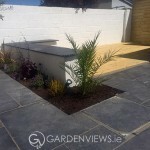 Grey composite decking was the perfect solution to raise the floor level and contrasted perfectly with the raised, white rendered walls. 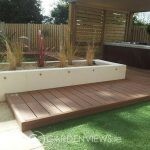 We incorporated a large wrap around composite seat within the raised bed to help maximise space and offer practicality when entertaining. 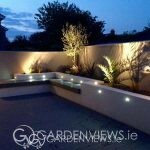 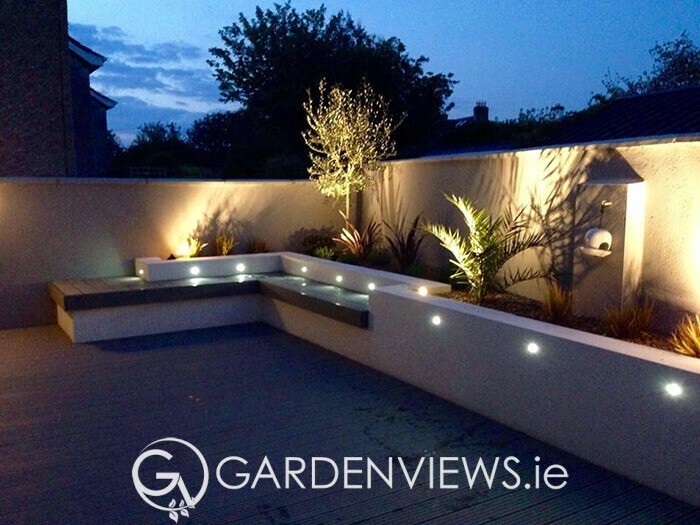 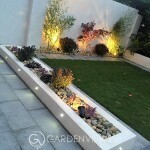 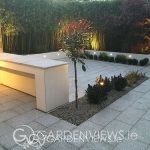 Deck, wall and spot lights helped emphasise the straight, clean, modern lines of the design when using the space in the evenings. 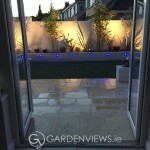 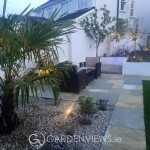 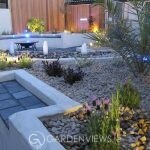 We wanted a garden that allowed us use the space all year around and Gardenviews didn't disappoint.